A Venture Capitalist (or, VC for short) is a professional investor that manages a venture fund. These funds are similar to Mutual Funds, but instead of investing in stocks, they invest in privately-held start-up companies. And if the companies go on to become successful publicly traded entities, the Venture Fund can earn tremendous profits. On the day Twitter went public, for example, a VC fund called Union Square Ventures made an estimated one billion dollars in profit. Since VC’s manage other people’s money, they split the profits with their investors. Generally, the investors receive 80% of the profits, and the VCs receive 20%. And over time, those companies grow to become worth $300 million. Well, in that case, the venture firm would have created $200 million in total profits. Of that $200 million, the investors would receive 80% of the profits, or $160 million, and the VC would receive 20%, or $40 million. With returns like these, it’s no surprise that investors from around the world are trying to get into these funds. Unfortunately, the minimum investment for these funds is very high—sometimes it’s several million dollars—so most individual investors can’t afford it. That being said, individual investors can invest in start-ups on their own. Angels invest their own money, and they keep 100% of the profits. 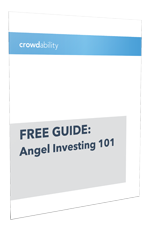 Specifically, to be an Angel investor, you need to have a net worth of at least $1 million, or you need to earn at least $200,000 in annual income, or $300,000 if combined with your spouse. It’s all because of a new set of laws known as The JOBS Act. These laws will allow all investors, regardless of their net worth or income, to invest in high-potential, early-stage companies.